"Sources Say" is a new column that will ideally come out weekly, but we'll see how it goes. It will focus on discussions and behind-the-scenes developments I can confirm or plainly just feel confident are happening, even if they don't lead to any official moves. "X team are targeting Y player," or "A player has been practicing with B team," -- that type of stuff. ​As announced Thursday, DBLTAP and I have both been nominated for awards at the 2018 Esports Industry Awards (DBLTAP for Best Esports Coverage Website and me for Best Journalist). When Slingshot Esports (pouring one out as we speak) was nominated last year and I missed out on a personal nomination, I remember stating publicly and privately that I had no desire to win an award for my work. That's not what motivated me, and it still isn't. --With the ​Tarik move finally becoming official, we also saw the departure of analyst Jan “Swani” Müller from Made in Brazil. Although his twitlonger ​made the split sound mutual, I’m told it was more so done because MIBR is looking to hire a coach as soon as possible. While the players and organization are on the hunt, it seems they are picky as to who they’ll actually recruit. They don’t just want a coach who will tell them how to play, but rather a coach that will help guide them in the direction that feels most comfortable. Sometimes management in an organization will hire a coach and give them the reigns to the entire operation, but this is the opposite. They want a guy who can help the players improve at what they’re already good at and hold them accountable when need be. --As you might expect, things have gone from bad to worse at Virtus.pro, which is now facing relegation in the Mountain Dew League. TaZ, on the other hand, is well on his way to helping Kinguin reach the playoffs. 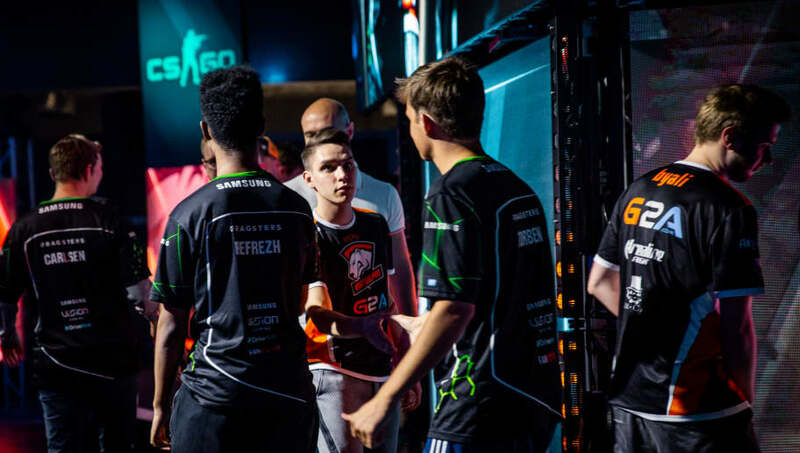 Word started to spread earlier in the year that NEO intended to retire sooner rather than later if the team didn’t shape up, as he has no desire to transition and play for another team like TaZ has done. I assume that rumor still holds weight because for the most part, nothing has changed since losing TaZ and ​now Snax. Potentially the most disgruntled is Byali, who has said he refuses to play with the remaining core Virtus.pro players following the Major. So it’s almost a guarantee that one if not all of the long-standing core VP players will be gone by the end of the year. --I’ve seen multiple references of fans discussing NRG players joining other North American teams after the team's unexpected defeat at the North American Minor, but I wouldn’t expect anything like that for at least a couple more events and inevitably until after the Major. Despite NRG's poor showing last week, the org has remained committed to playing with this lineup moving forward. --A rumor circled recently that a full Norwegian lineup was in the works featuring Rain, RUBINO, jkaem, and Cromen, but I was able to find a source that said jkaem is more than happy at Renegades, having signed a new contract there in recent months. As always, time will tell the true tale.